The coat stand Dodici makes a powerful statement. The design may look light, but when used the metal stand is a real heavyweight when it comes to stability. And that is surprising as the twelve hooks seem to have been folded like cardboard. The name of the design refers to the number of hooks: dodici is Italian for twelve. 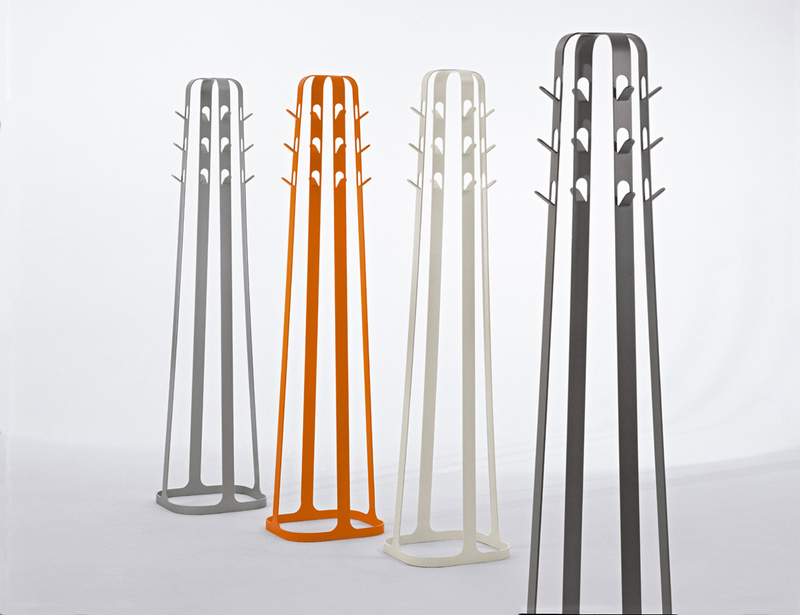 The coat stand is available in several colours.